Back to school week used to be a magical time when I was growing up. I was born in 1964 so my formative school years were in the 70’s and early 80’s through Harold Wilson’s Labour Government and the Miners’ Strike and Thatcher’s Britain from 1979 onwards. And yes, I can remember the long hot summer of 1976! In my Primary years, we still had morning milk in bottles with silver foil caps and a tuck shop which sold Wagon Wheels which were the size of your head and Crème Eggs that took more than 3 bites to eat them. Crisps used to cost 2d. Yes I am that old, although I have now recovered from decimalisation. I still prefer my temperatures in Fahrenheit though. 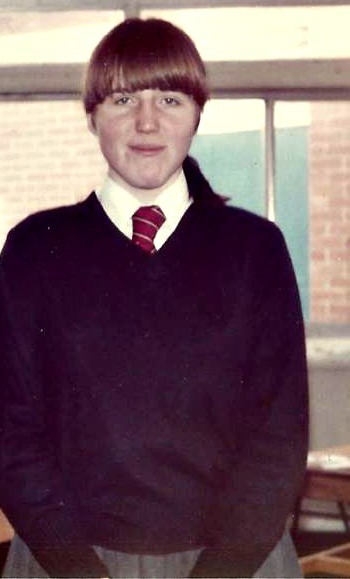 Later, my sister and I attended our local comprehensive, St. Cyres, in Penarth and had to wear a school uniform comprising a pleated skirt, white blouse, black jumper and a black and white school tie. In those days school uniform was stocked in one or two local shops and you had to get in quick or there was nothing left. The uniform seemed to be stocked in two sizes – either Harry Potter size or Hagrid Rubeus size and was made in material so warm and heavy you could probably survive a week in an Everest base camp wearing it. Nope – still can’t sight read! Our school shoes had to have heels no more than 2.5 inches high and if your hair touched your shirt collar, you had to wear it up – including the boys. Our headmistress was an absolute stickler for rules and would carry a tape measure to check your heel height. If you failed the test you were sent home. No ifs, no buts. And you could forget jewellery (other than plain gold studs or hoops) or make-up. I suspect if our headmistress had seen a tattoo she would have had a fit of the vapours. Then there was the excitement of buying a new pencil case and one of those Helix Mathematical Kits which contained a compass and a protractor. In those days, pencils could be bought actually sharpened – there wasn’t so much concern about health and safety then. The first week of term would see the giving out of fresh new writing books and text books which we would be instructed to go home and cover in sticky backed plastic (much loved from watching Blue Peter). Everything was new and as fresh as the crisp autumnal air. We’d wear our new school winter coats even in the Indian Summer, cooking nicely on the school bus. Now, 30 years on and Caitlin and Ieuan are experiencing both the joy of the long summer holiday and the excitement of returning to start a new school year and ‘back to school’ seems to have become a major event. If you ask any of the already frazzled parents trying to entertain their brood with activities not involving Pokemon, or an ‘I’ anything, this can only be a good thing. For a start, high quality school uniform is readily available and comes in sizes to fit every child and you can even still buy Helix Mathematical sets. There are backpacks rather than the old fashioned satchels and more coloured and scented stationery than you can woggle a ruler at. I think it’s a good thing to encourage kids to be excited about going back to school. It is, after all, where they will spend a sizeable percentage of their time and it makes sense to get them into a mindset of looking forward to learning. 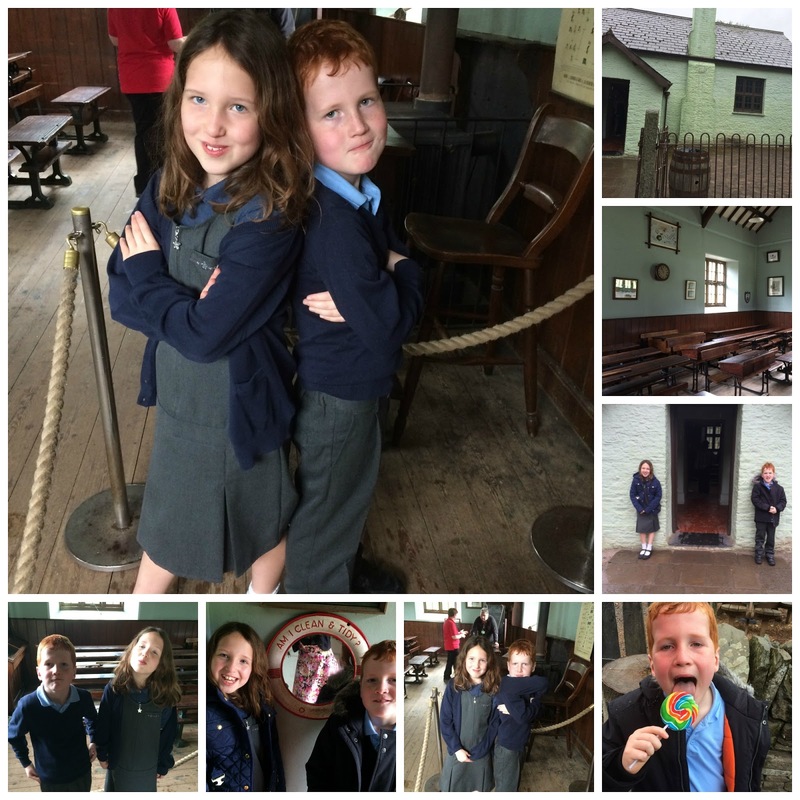 This summer, M&S will be celebrating over a century of helping parents get their kids ready to go back to school so to give Caitlin and Ieuan an idea of what school was like way back then, we took them to the St. Fagans National History Museum just outside Cardiff to see Maestir School which is set up as it was in 1900. Incidentally the National History Museum at St. Fagans is well worth a visit and features many historic buildings painstakingly resurrected for the public to learn about many aspects of Welsh life through the decades. Maestir School was a small country school built in 1880 which had just one classroom. It was built from shale-stone taken from the local quarries and had a slate roof using slate from North Wales. The yard at the back was segregated to keep boys and girls apart. Pupils of all ages – from 5 to 14 – would have been taught in the same classroom and there are desks in a variety of sizes to accommodate them. 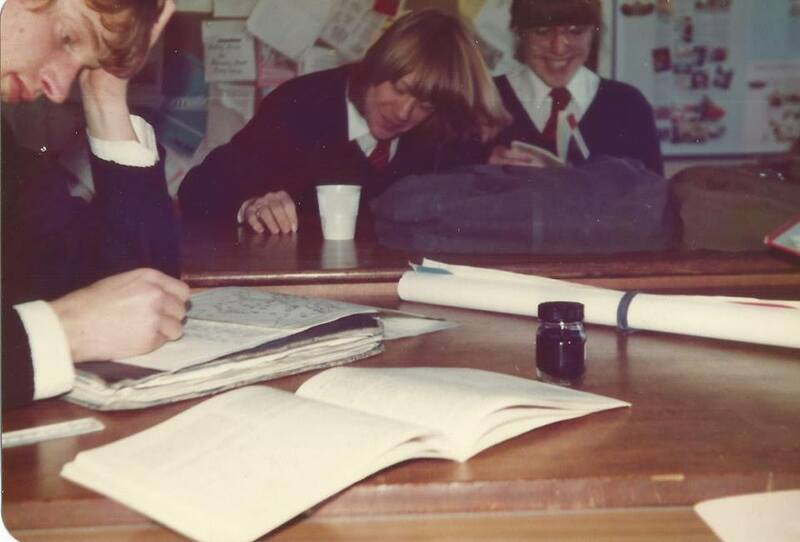 A far cry from the classroom set up we have today, although I can remember wooden, lidded desks in the early days at comprehensive. I think some of them are still there, together with the graffiti and chewing gum that was stuck underneath to hide it from the teacher. Caitlin is about to start Year 4 and Ieuan Year 3 and they are both ready for the challenge. Young minds need feeding and near-constant stimulation. Anything we can do to help create the best learning environment and to get the kids into the right mind-set is well worth the investment in my (text) book. But you know things haven’t changed that much since my sister and I walked to school. There may be more traffic on the roads and more technology to grapple with but our kids are learning broadly what we did and, hopefully, having just as much fun. 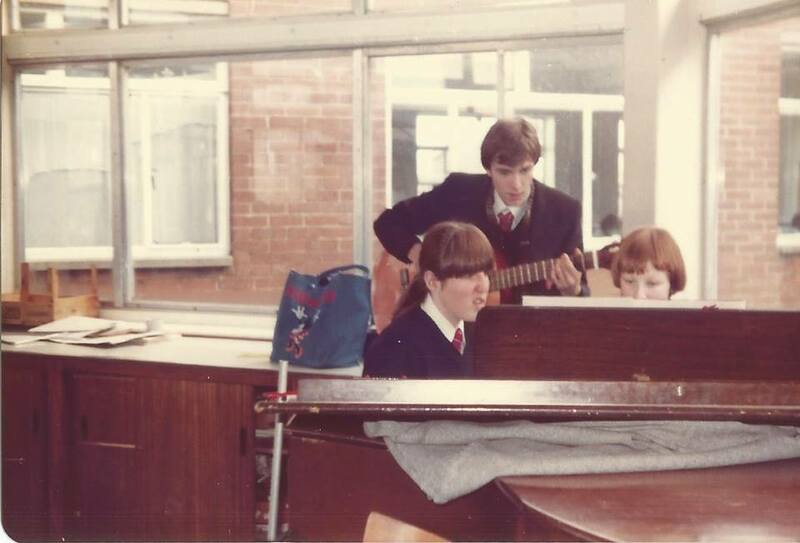 You can share your school memories with M&S on social media using #MySchoolYears. 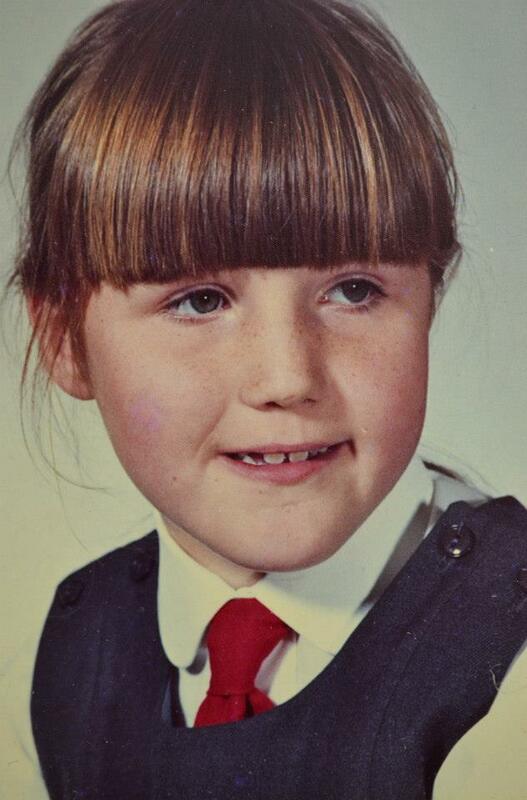 Bet you didn’t have a fringe as good as mine! *School uniform courtesy of M&S. "Full Throttle Family Fun In Cardiff On 3rd September At Monster Jam®"